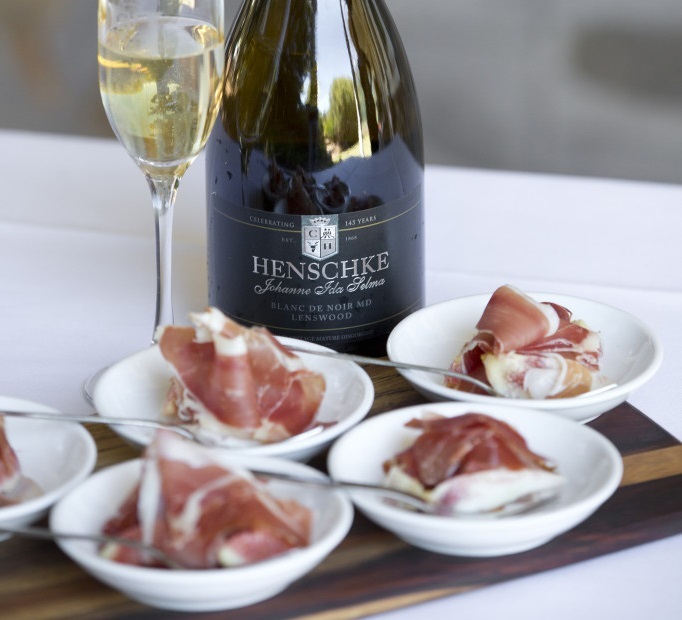 The Johanne Ida Selma Lenswood Blanc de Noir MD, a multi-vintage mature disgorged pinot noir sparkling wine, is a delectable pairing for melt-in-your-mouth jamon and figs. 1. Wrap one slice of jamon around one fig half and place in a small serving dish. 2. Repeat for all slices.